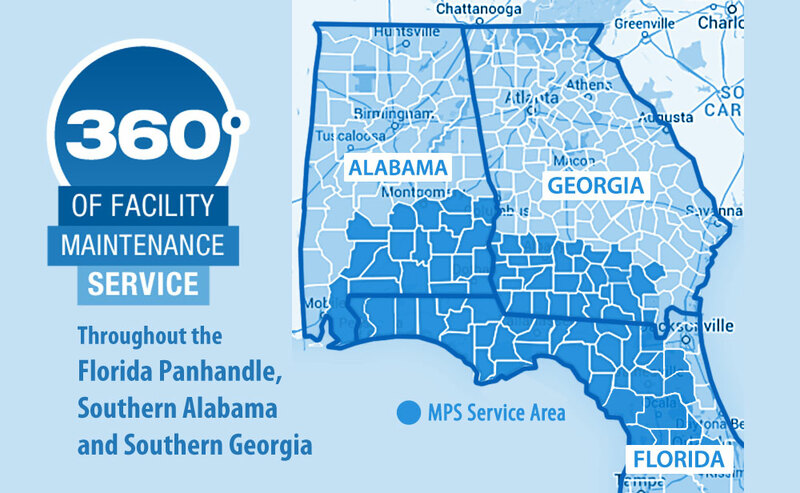 MPS currently provides 360º of facility maintenance service to many counties throughout the Florida Panhandle, Southern Alabama and Southern Georgia. If your location is not within our service area, give us a call at 850-638-1386. We are consistently expanding our service area and would be happy to discuss your maintenance needs with you.